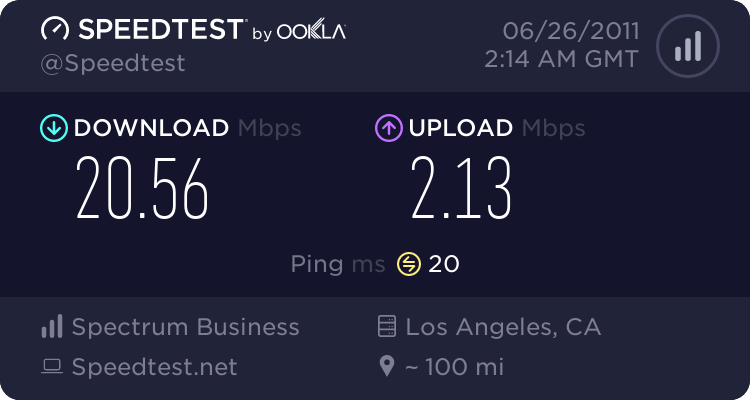 Re: Re: How is your high speed Internet? 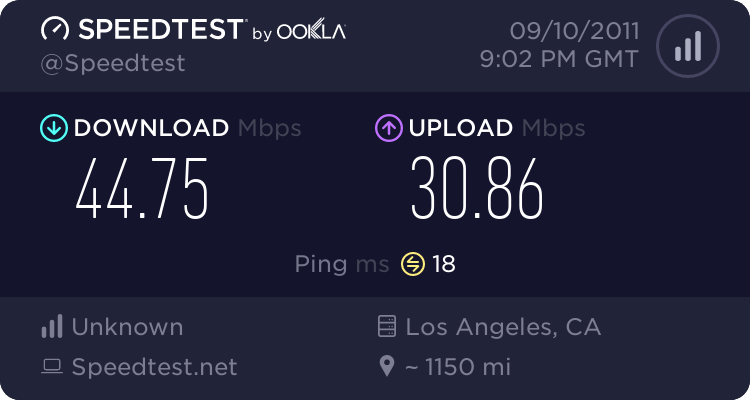 We are getting about the same speeds here. Until I tried splicing in a section of wire, and it dropped considerably. I picked up some Cat5e cable to redo it all with. 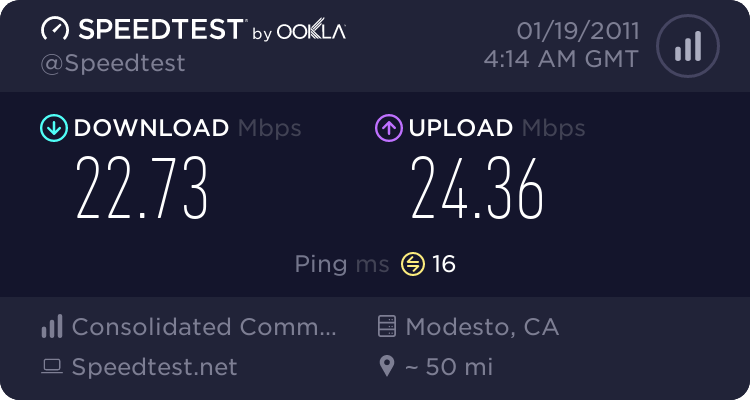 Not too bad with Surewest here in Elk Grove. By the way we moved. That seems like good enough speed to game on! That's simply off the charts! 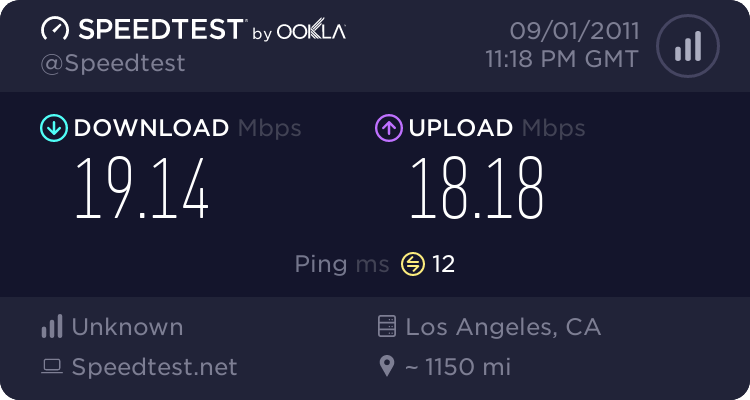 Our download was recently increased from 15mbps to 20mbps. 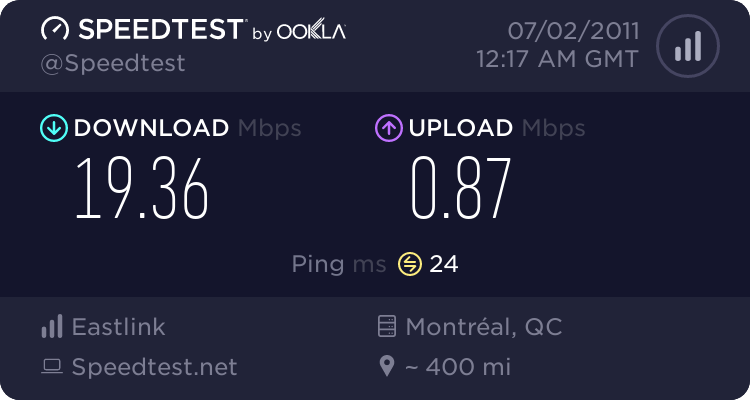 Upload is still shite, however. 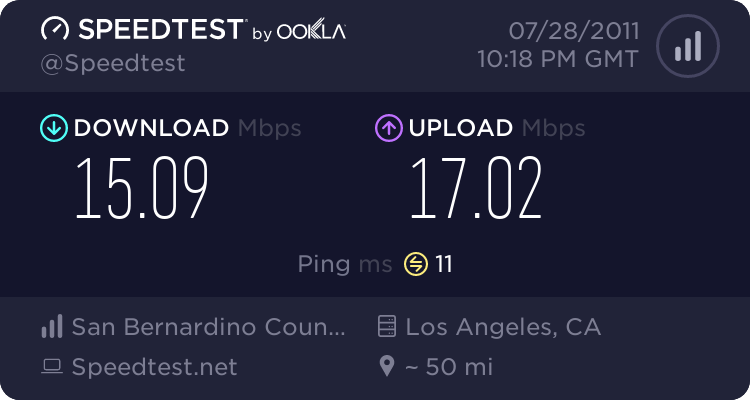 Testing the speed of my wife's classroom connection. Awesome but it's supposed to be 35/35. Dang! 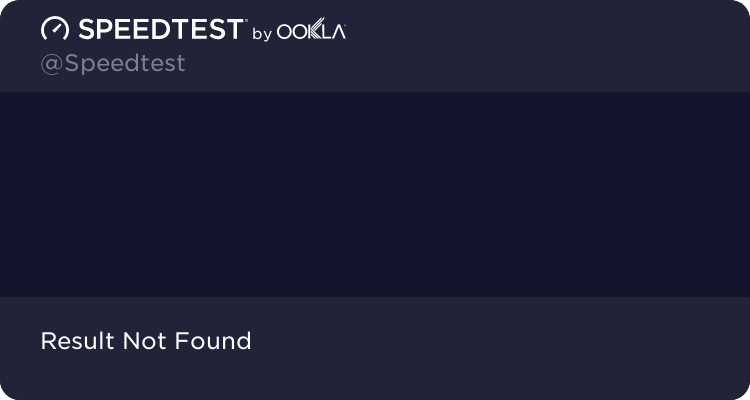 This is what I got when I plugged my Mac Mini directly to the router. Why would there be such a difference between wired and wireless?